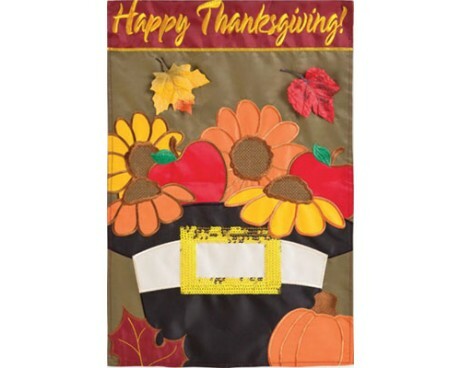 Autumn flags are a fun and festive way to get into the spirit of fall. 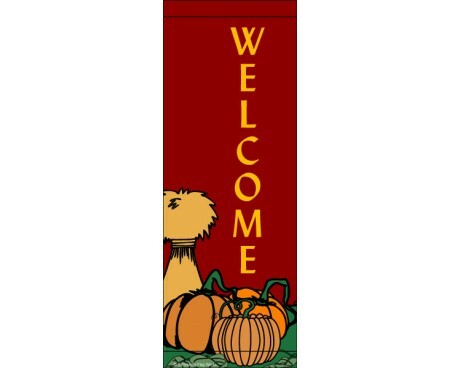 Featuring warm fall colors like orange and gold, our extensive collection of fall flags and banners features everything from Halloween banners and flags to seasonal avenue banners. 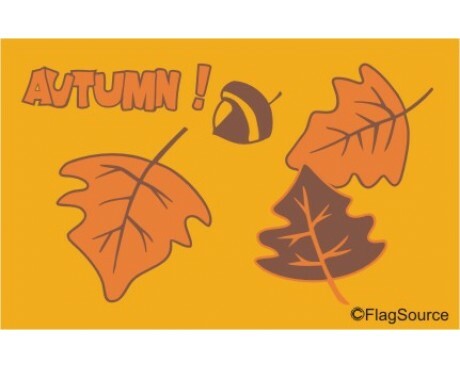 Whether you're looking to decorate your home or business, our autumn flags are a great way to show your enthusiasm for the beautiful fall season. 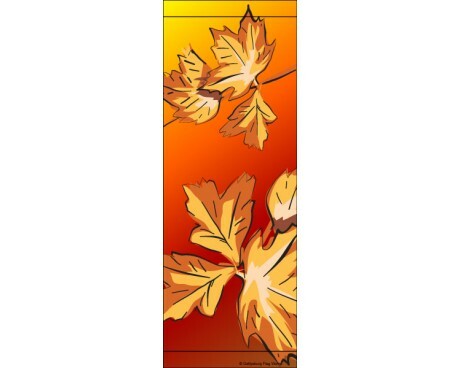 From pumpkins to falling leaves and acorns, our fall flags feature a variety of designs and come in a number of sizes and styles. 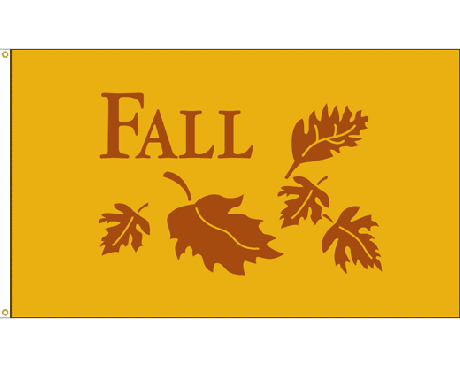 Many of our fall flags are designed to fly from a freestanding flagpole, and can be mounted using grommets and clips to your existing halyard. 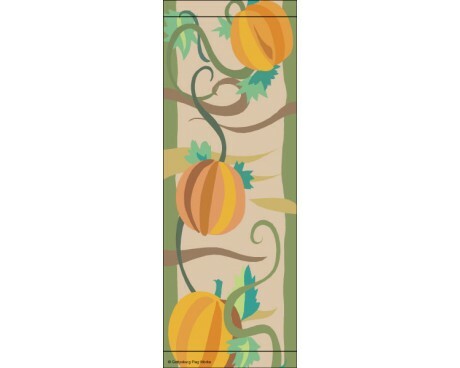 Fall garden banners have a small sleeve for hanging on a garden stand or wall bracket. 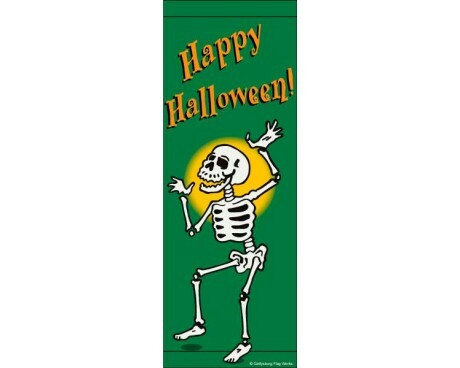 Our Fall avenue banners feature a number of designs, ranging from pumpkins, leaves, and scarecrows on our seasonal banners to skeletons, jack-o-lanterns, and ghosts on our Halloween banners. 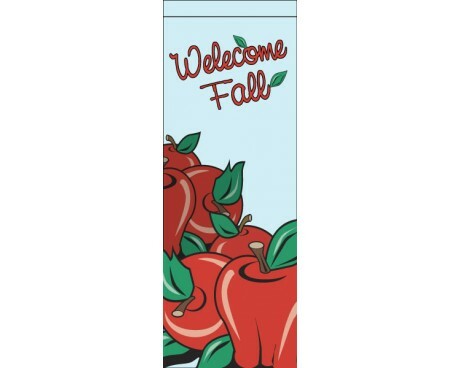 If you're looking to decorate your town or campus, these fall banners are a terrific option. 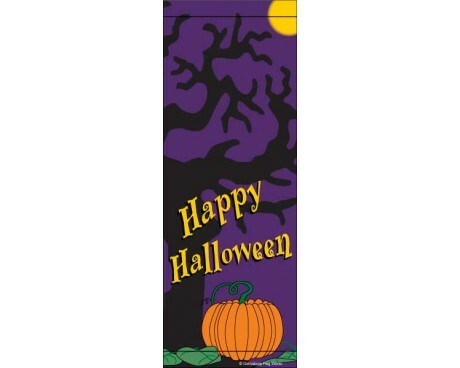 Looking to add some spooky flair to your home or business? 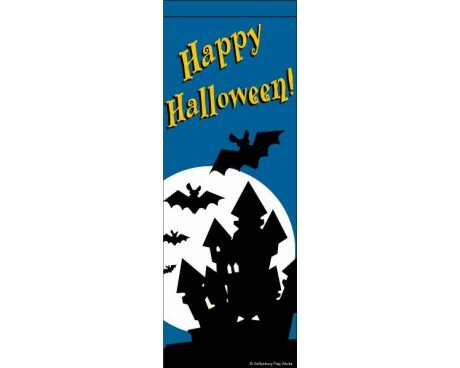 Our Halloween flags and banners are a great way to do so. 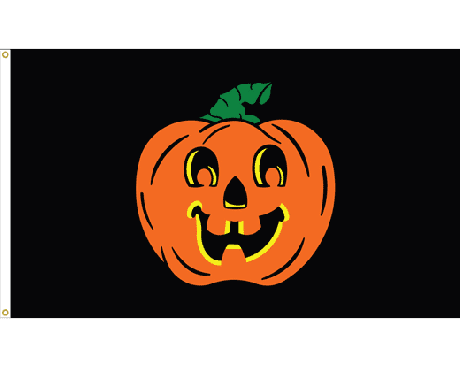 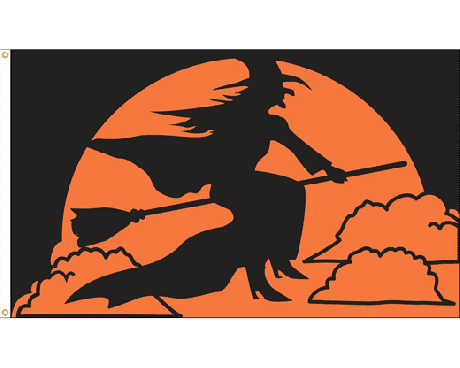 From witches and ghosts to friendly jack-o-lanterns, our festive Halloween flags and banners do not disappoint. 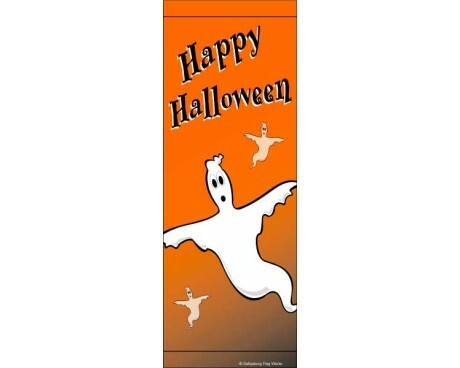 Can't find the fall flag or Halloween banner you've envisioned? 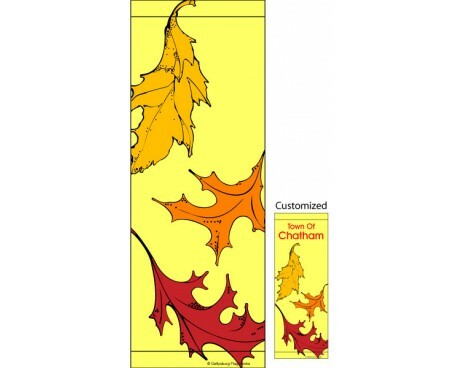 Create your own custom flag! 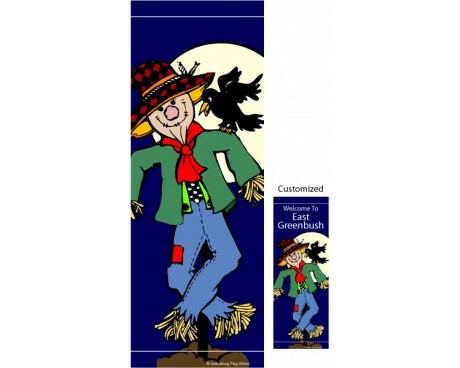 View our custom flag portfolio here for some ideas and inspiration, then request your custom flag quote here! 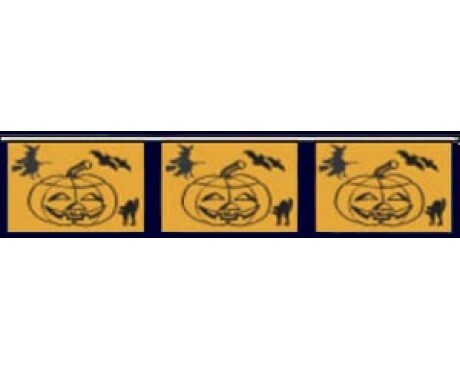 Have questions about fall flags from Gettysburg Flag Works? 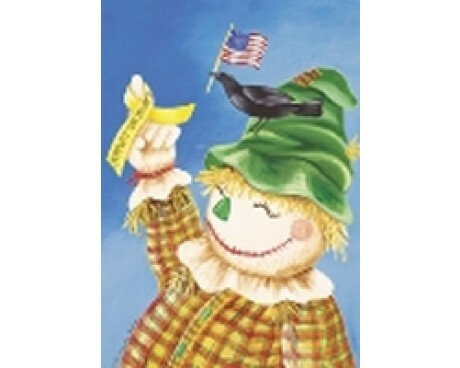 Can't find the product or design you're looking for? 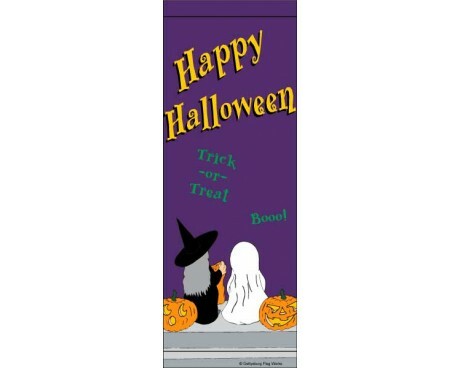 Give us a call at 1-888-697-3524 or contact us online and we'd be happy to help you!